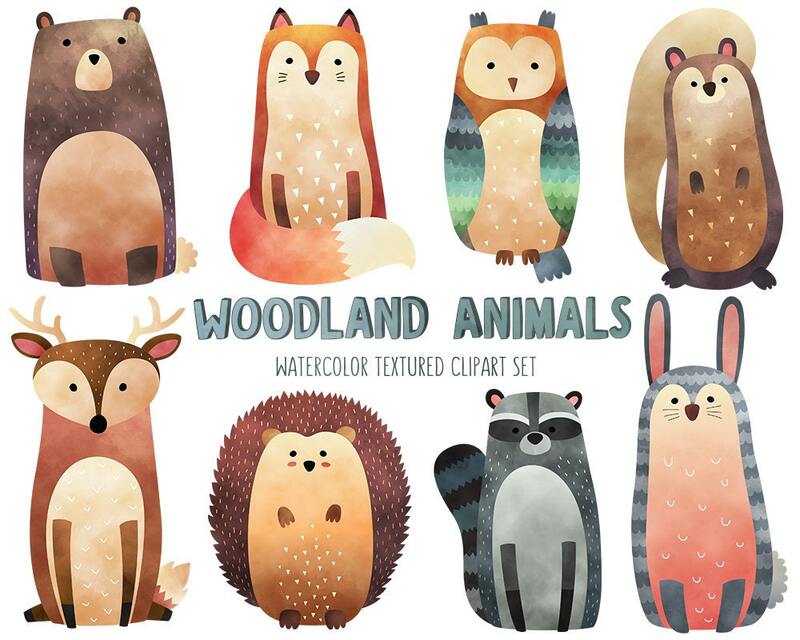 This listing is for a set of 8 adorable woodland animals with a beautiful watercolor texture. 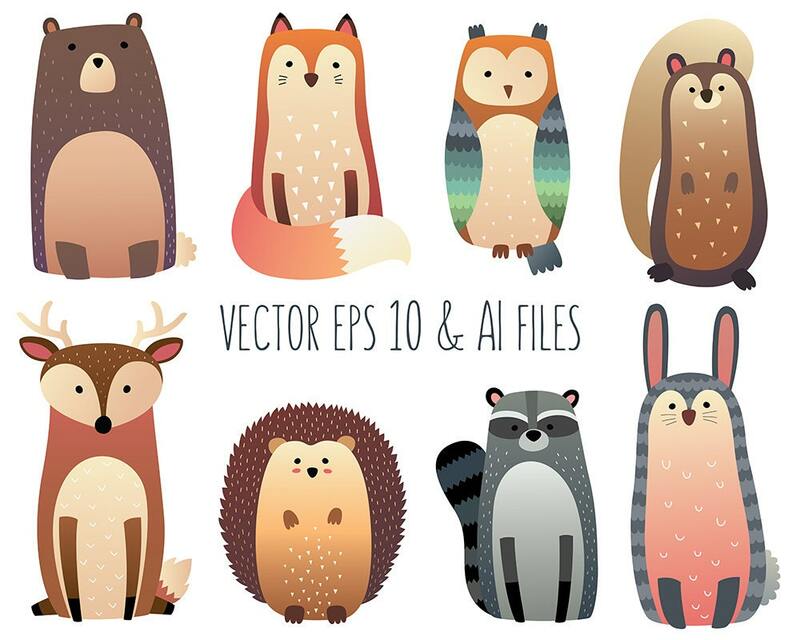 Perfect for use in scrapbooking, party invitations, nursery prints, greeting cards, decorations, and much more! !